Description Static multifunctional extractor adopts straight-type structure; it is easy for slagging. 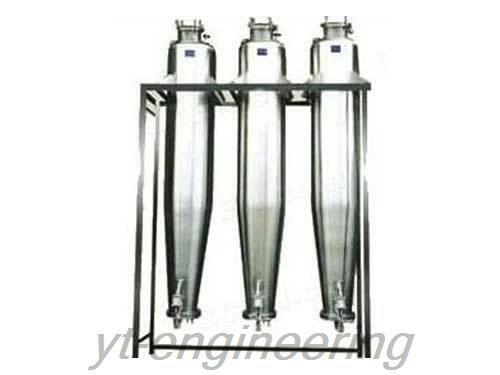 Slag-discharged door of static multifunctional extraction tank adopts air pressure on-off system. Equipped with self-lock device, it’s stable and reliable to operate. 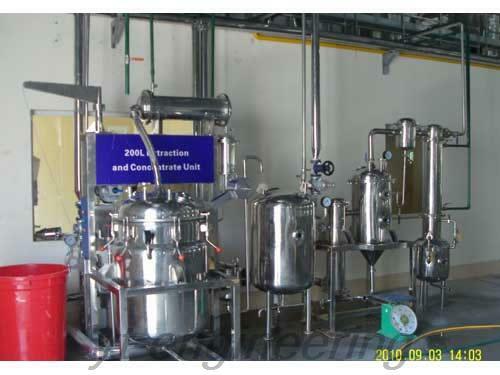 Application Static multifunctional extractor is mainly used for decoction, extraction, hot reflux extraction and circulation leaching of Chinese medicine with the mediums of water or organic solvents. Meanwhile, during extracting process, it can recycle volatile oil. 1.DDT dynamic multifunctional extractor features high efficiency and energy saving. 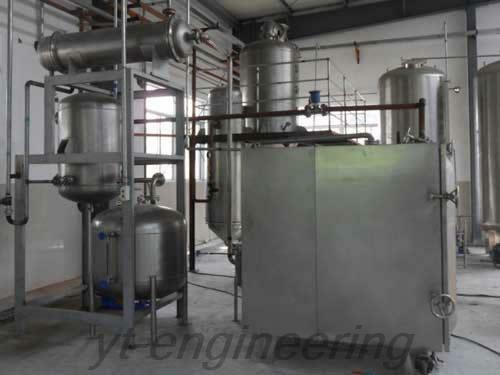 2.This dynamic extraction tank features high drug concentration of extracting solution. 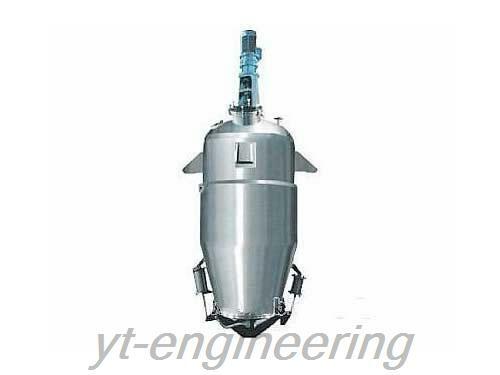 3.The diameter of dynamic extraction tank is large, which makes the equipment more stable and reliable. 4.Slag-discharged door of dynamic multifunctional extractor adopts air pressure on-off system. Equipped with self-lock device, it’s stable and reliable to operate and lowers failure cost. 1.After they are grinded into the certain size (5-40 mesh), the Chinese herbal medicines are evenly put into the percolation tank of Chinese herb extraction tank and fully infiltrated in the extracting box. 2.Affected by the heat power and pressure, the active ingredients and part of impurities integrate to the extracting box quickly. CQT liquid-liquid continuous extraction tower is mainly used in chemical, traditional Chinese medicine and food industry. The following are the specific usage of extracting tower. 1.In chemical industry, extracting tower can be used to extract antibiotic and synthetic pigment from fermented liquid as well as remove phenols form wastewater. Yutong is located in Jiaoxi town, a famous town in the south of the Yangtze River, covering an area of over 50 mu with 11000 m2 building area. We have 10 intermediate and senior titles of professional engineering and technical personnel and more than 100 sets of processing equipment. We can annually produce 600 sets of drying equipments and develop 30 types which are popular all over the country. Moreover, we have exported our products like extracting machines to America, Europe, the Middle East, West Africa, Southeast Asia and other regions and countries. Over the years, Yutong is devoted to the development and production of granulating machine, drying equipment, grinding machine and extracting machine. Our company develops quickly and accumulates abundant capital and technology strength. Yutong is a professional extractor supplier in China. 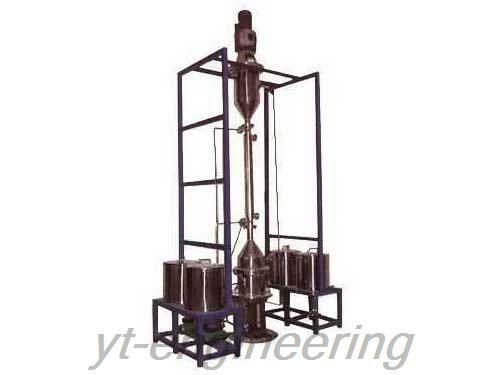 We provide a variety of trial extractors for customers to test and inspect.